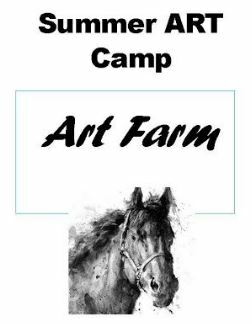 Kids enrolled in the Summer Camp will explore the world of barns, barn animals and make barns of their own creations using a wide variety of media, including clay, sculpture, drawing, painting and more, all taught by art educators and artist. Summer Art Camp includes: A chance to explore a variety of fun ways to create art in 3 days – Snack breaks and time to play games – Having the opportunity to combine their art creations with written or oral stories to enhance their experience and their creativity – Lunch brake, kids bring their own sack lunch, with drinks and snacks provided. Scholarship applications are available upon request.